Today I wanted to put some music for my kids on a micro SD card. I hadn’t a free one, so I took one out of my Raspberry PIs 3 that are running Windows IoT. I formatted the SD card with Windows, but this did not change the size. So finally I ended up using the diskpart-utility. 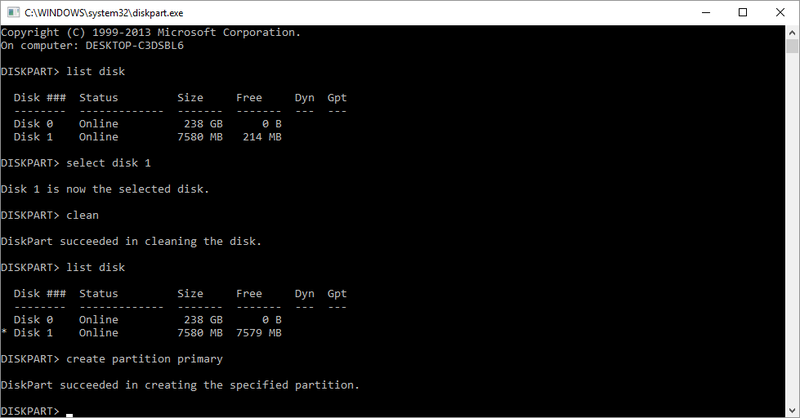 If you’re running Windows, just open up a new command prompt and type in “diskpart”. First I listed the disks. There you see the 7580MB sized disk, which has 214MB free. That is my sd card. I selected that disk with “select disk 1”. Then I just called “clean”. When the disks are listed again after that “clean”-call, you can see that the sd card has now 7579MB free. Now all I needed to do was to create a new primary partition, and then the full storage of my sd card was again available.